Portraits, candids, thematic shoots- this premium baby photography service In Viman Nagar is our first pick. Experts in making these tiny tots pose, Lil Starz Childrens' Portraiture also specialise in maternity and family shoots. They also take care of the styling and the props, and if you want to design the shoot, you may tell them your preference. Poorva Paranjpe photo studio aka Balmudra studio in Parvati is yet another studio that offers excellent photography services for infants, toddlers and babies. Her charm and patience with babies are known to bring out the best in them and you will not be disappointed by the cute pictures that you will get. She also does professional shoots for baby catalogues and advertisements. Close your eyes and blindly take your babies to Edita's photo studio in Bavdhan. 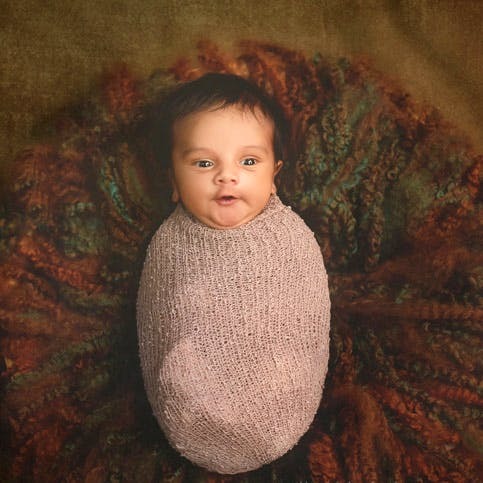 Founded by Edita Paluri, a very popular maternity and baby photographer in India. Her styling and skills are something that is truly commendable. She also does shoots for toddlers, children, families etc. The cutesy pictures clicked by duo Sachin and Priyadarshini Bhor of The Kids Photos are absolutely 'aww'dorable. The studio is situated in Bavdhan and everything from styling and props is taken care of by them. You will absolutely fall in love with the 'babies in the basket' theme. Baby turning 1? Baby taking its first steps? Capture all these beautiful moments with expert photography from Pureclicks studio situated on Old Mumbai-Pune Highway. We are in love with their prop collection and theme ideas. They do shoots for baby events and parties too.